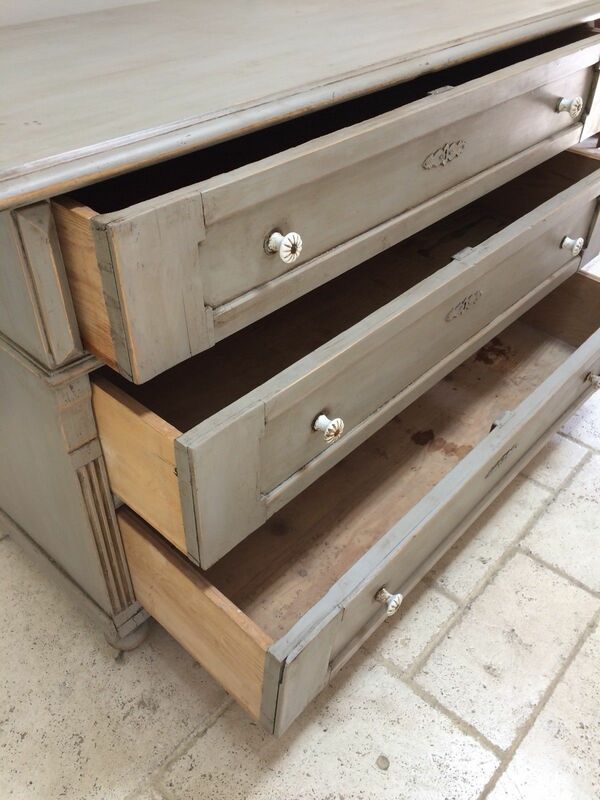 Lovely rustic pine Antique painted Chest of drawers, very large with 3 good sized drawers. Not finely made, very rustic finish with lots of wear and tear but a good honest Country piece. Gustavian style but more likely from somewhere further East, maybe Hungary or Bulgaria. 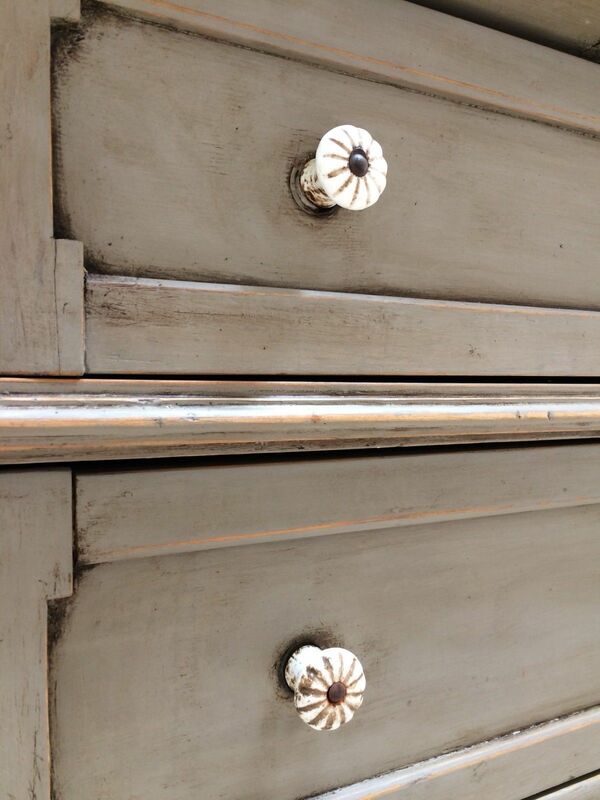 Pretty original ceramic knobs. All the drawers open and close well. Lovely rustic decoration throughout. Needn't be confined to the bedroom, the large proportions mean it could also work well as a sideboard in the sitting room, kitchen diner and hall. 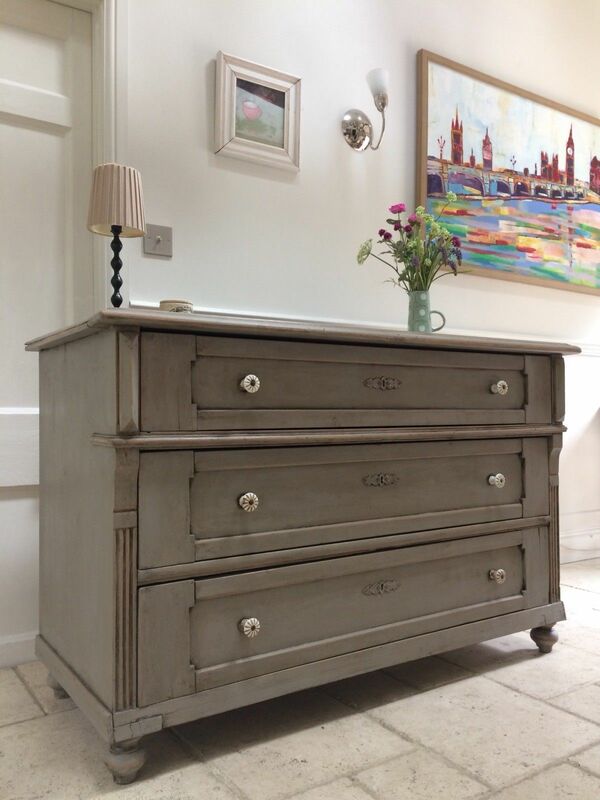 This chest is hand painted in Annie Sloan 'French Linen ' a lovely chalk painted finish, then distressed and rubbed with dark wax for a lovely aged look and greater durability. 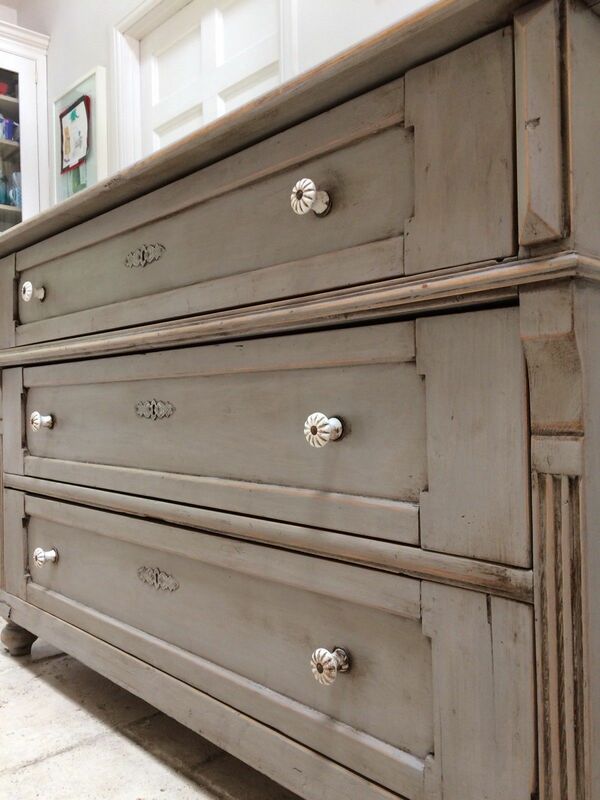 Based in Bury St Edmunds we supply one off hand painted dressers and other items of antique and vintage furniture. 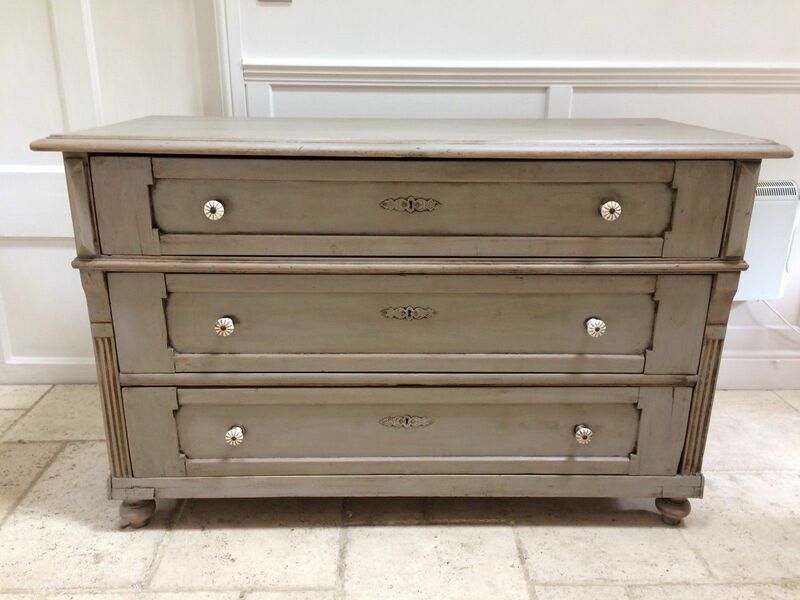 We have many French Antique pieces mostly for the bedroom which when painted in the Annie Sloan paints and waxed could be mistaken for orignal French paint finishes. We deliver thoughout the uk and regularly deliver to all parts of Suffolk, Norfolk, Essex, Cambridgeshire, London, Surrey, Hertfordshire and Kent.